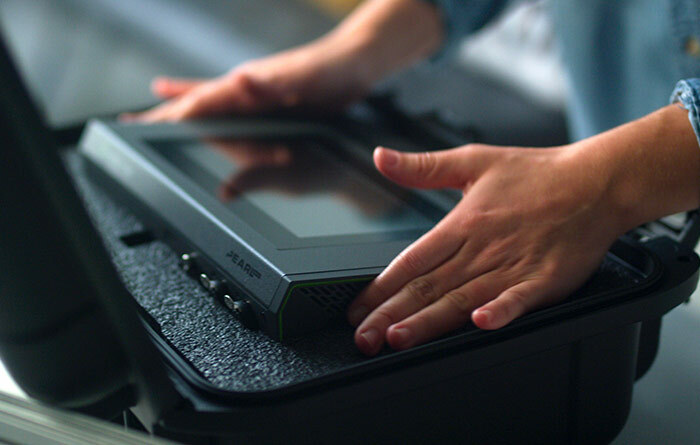 Pearl Mini - All-in-one video production system that’s small in size and big on pro features! Connect your USB webcams and networked RTSP sources. Integration into a Crestron system is easier than ever. Full API integration with Kaltura and Panopto CMSs. The most reliable, all-in-one video production system that’s small in size and big on pro features. Record, stream and switch up to three full HD video inputs from HDMI™, SDI, and USB sources. 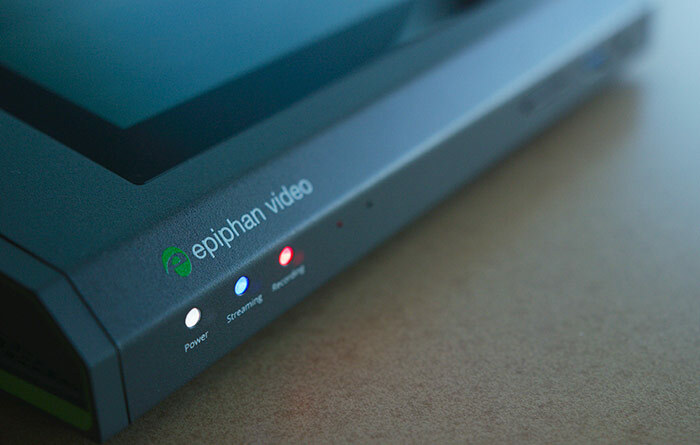 Epiphan Pearl Mini™ takes your video production to the next level. 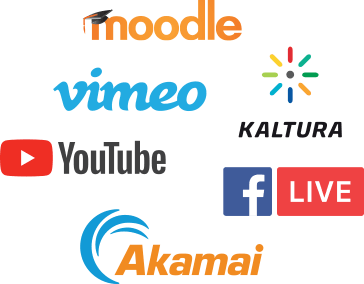 Simultaneously live stream to YouTube, Facebook or other content delivery networks and content management systems using custom RTMP/RTMPS or RTSP. At the same time, use the built-in streaming server to stream locally to web browsers, smart TVs, and set-top boxes. Integration with Kaltura and Panopto CMSs means no complicated stream URLs to setup. Just schedule your webcast event and start streaming. Locally share unicast or multicast streams with popular streaming protocols such as HTTP, HLS, FLV, ASF, UPnP and SAP. Stream to destinations over RTMP or RTMPS for greater security. Pearl Mini’s hardware-accelerated encoder provides flawless H.264 encoding for maximum performance. Record a program and ISO in AVI, MP4, MOV, or MPEG-TS formats directly to a 512 GB EXT4 SD card* and automatically upload to a USB stick or server on the network. Fail proof recordings and upload files automatically to a server while you record locally to the SD card. Transfer recordings to a USB drive or network storage (FTP or SFTP) for post processing. Save recordings directly to a 512 GB EXT4 SD card (user supplied). Easily download recordings and manage files using the Admin panel or Epiphan Live. Incredibly easy to use, Pearl Mini’s 7 inch touch screen makes switching between video sources and layouts a breeze. Or use the browser-based Epiphan Live and switch from almost anywhere using a tablet, PC, or mobile phone. Design custom layouts like PiP with the easy drag-and-drop custom layout editor. Combine, crop, and scale video sources to make dynamic layouts. Add transparent png images, custom backgrounds, text overlays, timestamps and more. 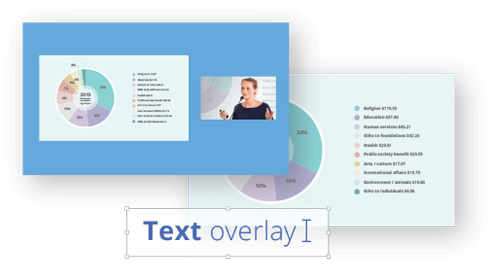 Make PiP, side-by-side, three quarter layouts and more for dynamic looking visual presentations. The possibilities are endless. Customize the look of your event with transparent .png images and custom backgrounds. Easily add timestamps and other dynamic text content to layouts. Create custom system variables for even more flexibility, like adding the current GPS location. Connect cameras, computers, imaging equipment or just about anything to Pearl Mini. Standard and custom resolutions up to 1920×1200 from SDI, HDMI, USB, and H.264 network-based RTSP sources are accepted. Send an HDMI feed of your switched program to projectors for front-of-house presentations, display walls, or monitors for confidence monitoring. Share the program output or just an individual input source. Connect to the network over Ethernet. Mix embedded audio from SDI, HDMI, or USB video sources with audio from XLR microphones and professional mixers with individual input gain controls. Confidently monitor audio levels with on-screen VU meters and headphones. Connect headphones to the front-mounted 3.5 mm audio jack and monitor audio levels with on-screen VU meters. Pearl Mini is ready to use out of the box. 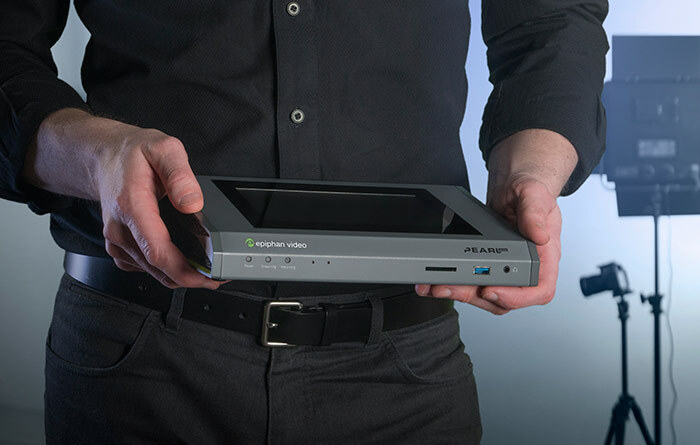 Connect video sources directly to the HDMI inputs and start recording those right away using the intuitive touch screen. 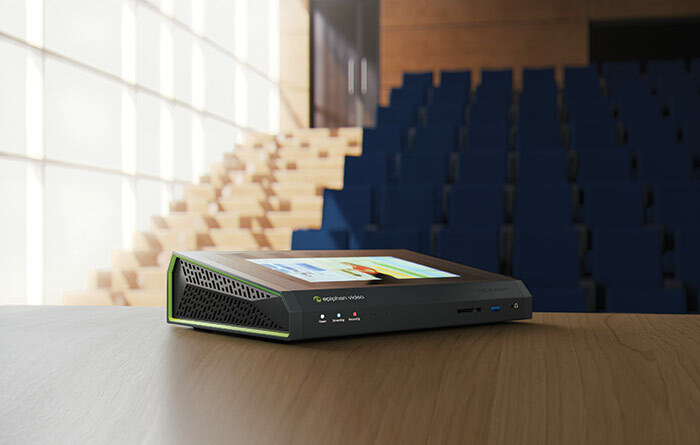 Or dig into the control interface and create a truly custom video presentation experience for your viewers. Even unexperienced operators can control recording and streaming on Pearl Mini with confidence. One Touch lets you start/stop recording and streaming with a simple tap of the screen. Conveniently monitor your inputs and switch at the same time. Switch your live program and instantly see the results using Epiphan Live. 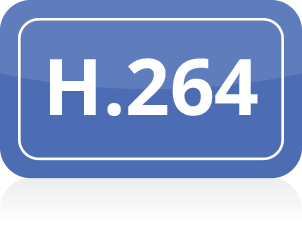 Comprehensive HTTP/HTTPS and RS-232 APIs for third party integrations. Login to your Pearl Mini securely from anywhere over an Internet connection. Quickly take control of Pearl Mini for remote rescue troubleshooting, support technicians in the field, control recording, switching, and more. From the web-based Admin panel, set up your channels and recorders, select custom resolutions and streaming options, configure security features like 802.1x, monitor system health, and more. Integrate Pearl Mini encoders more easily into Crestron AV systems using the Crestron-developed Control Module for Pearl. The bulk of the coding already is done. Build upon the Crestron driver’s existing code base for secure, API control over HTTP or HTTPS. Full API integrations provide an effortless lecture capture and enterprise communication setup experience. Simply register Pearl Mini with your CMS to start using the encoder for scheduled, multi-camera VOD events, ad hoc events, and webcasting without complicated programming. 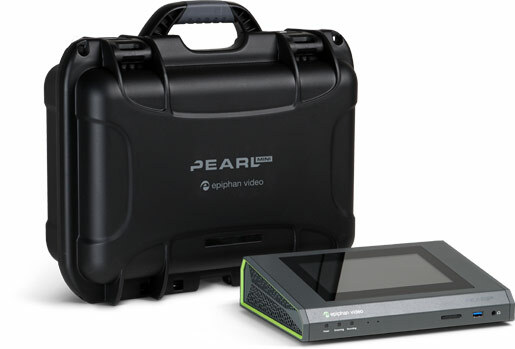 The Pearl family of encoders support 802.1x certificate authentication, RTMPS encryption of live streams, SFTP, and HTTPS for encrypted admin access. With 802.1x network security, you won’t need security policy hacks and workarounds such as MAB (MAC Authentication Bypass) to deploy Pearl Mini in your enterprise network. Pearl Mini supports PEAP, EAP-TLS, and EAP-TTLS authentication access control methods on 802.1x networks using passwords, usernames, and digital certificates. Easily upload and manage digital certificates on Pearl Mini using the Admin panel. Login to Pearl Mini with administrator, operator, or viewer privileges. LDAP authentication support on Pearl Mini lets you define domain name (DN) groups to assign user roles in bulk so users can login with their LDAP credentials. Real Time Messaging Protocol Secure (RTMPS) encrypts your content before it’s streamed over a TLS/SSL connection for secure live streaming. Securely access the Admin panel and configure Pearl Mini over an HTTPS connection. Encrypt and send sensitive recordings from Pearl Mini to offsite SFTP servers using Automatic File Transfer. More standard features make Pearl Mini the best choice as your all-in-one AV video production system. Quickly apply settings to your Pearl Mini with a configuration preset and reconfigure it on the fly for a consistent set up each time. You can even download a configuration preset and upload it to other Pearl Mini systems. Adjust AV synchronization on each video input from -300 ms to 300 ms and instantly preview the results. Control the contrast, brightness, saturation and more on connected USB web cameras from the Admin panel. Convert an interlaced video input signal to a non-interlaced signal. Record multiple channels in a single multi-track file and ensure recordings start and stop at the same time. The built-in synchronization tool lets you split the file into individual tracks for post-processing. Pearl Mini has a robust, factory-set extended display identification data (EDID) so that the video input ports correctly emulate a monitor for the connected video input source. Custom EDIDs are supported. Use an NTP (RFC 868), RDATE, or PTP v1 (IEEE-1588-2002 V1) time server to synchronize the system time that’s used for timestamps and labelling recordings, or set the system time manually. Pearl Mini comes with all the cables and connectors you need to record, stream, and switch your HD video. Purchase an optional, lightweight hard-shell carrying case with custom foam inserts to protect your Pearl Mini while on the go! Get all the features of Pearl Mini plus 4K HDMI, 12G SDI, and the capacity for 6 simultaneous 1080p channels with Pearl-2.